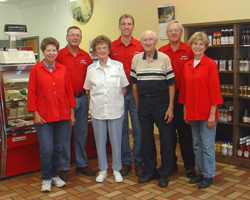 Schmidt’s Meat Market is a 3rd– generation, family owned meat market in Nicollet, Minnesota. Open since 1947, we are known to be Southern Minnesota’s largest and most complete meat center carrying a full line of fresh meats, an extended line of smoked and cured meats, a deli with a wide variety of deli meats and cheese and superior customer service. We also custom process animals for local farmers. 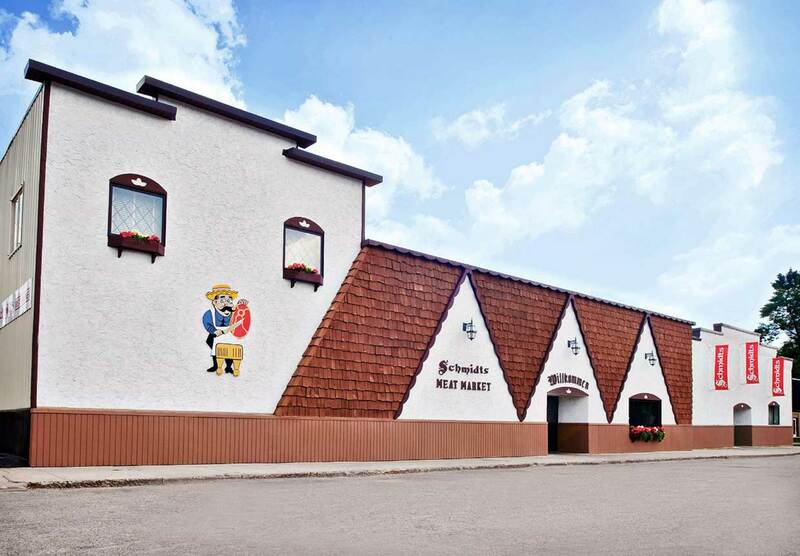 Our meat market has a traditional German-style theme – from the Willkommen sign above the door to the aroma of the smokehouse. We continue to use the old style method of smoking by using whole pieces of wood as our source of heat and smoke. This process is what sets us apart from other meat markets and gives our products their unforgettable flavor. Some of Gerhardt Schmidt’s original recipes are still used today. Our German-style summer sausage remains our specialty. We currently have a staff of approximately 50 full-time and part-time employees, including production workers, retail clerks and students. 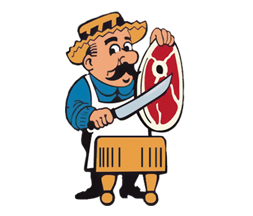 We are truly a full-service meat market with experienced meat cutters always on staff to cut items how you want them cut. Shopping at Schmidt’s is truly an experience you will never forget.